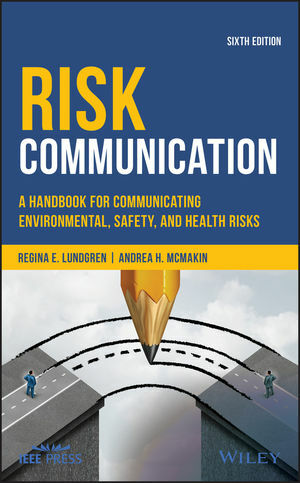 Congratulations--you've been tasked with communicating about an environmental, safety, or health risk. Projects may succeed or fail on your actions. Lives may be changed by what you do. Your first task should be to determine why you're communicating and what you hope to achieve. + Audience requirements--What does your audience want and expect from the risk communication process? Some common areas include understanding how the risk can impact their lives, discovering how they can contribute to managing the risk, and learning what will be done about the risk. Other requirements could include having the information available in their locations, distributed through platforms they generally use, in their language. + Legal issues--What laws are associated with your risk communication efforts. Examples include the Health Insurance Portability and Accountability Act, National Environmental Policy Act, and Occupational Safety and Health Act. These spell out certain requirements for risk communication. + Organizational requirements--What are your organization's policies and procedures for risk communication, public involvement, information release, and development of communication materials? + The risk itself--What sort of risk are you charged with communicating, care communication (for situations in which the risk is mostly personal and the level of danger is no longer in doubt), consensus communication (for situations in which the audience will help assess and/or manage the risk), or crisis communication (for an immediate, urgent risk)? Is your risk relatively new and unknown by the audience or have they heard about it for decades? Understanding these issues can help you focus on your purpose and objectives, giving you a better chance at success. Need more information on purpose and objectives?